I think Margot is wildly insane to uproot her family and do this outrageous thing, and I think it is a type of insanity we all need the courage to have. Her word choice and writing style are unique, amazing and totally compelling. I loved getting to know her and her family through this book so much that I had to read it twice – the first time at near light speed because I so needed to know “and what happens next?? !” and the second time to thoroughly enjoy and savor the writing. A great story well written. Thank you, Beth! I don’t think there could be a better compliment for a writer than a reader missing stuff because she was so curious about what came next… and THEN going back to pick up what got missed! 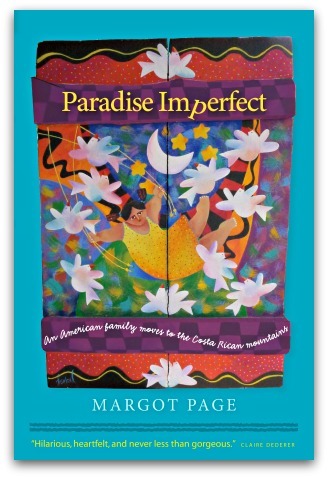 I’m delighted you loved Paradise Imperfect. So glad part that resonated with you, Lisa. I hope you enjoy the book! I got to sleep in this Sunday but decided I’d rather steal time to read this book. Went on to have a lovely day with my family, partly because I was immersed in the laughter, affection, and genuine communication of the Page family. Loved every word of this book…glad you didn’t cut anything else out Margot! I have read Margot’s book 3 times and plan to read it more just so that I keep many of her marvelous lines in my head. Her cheeky wit and incisive insights make this one of the best books I have ever read. And, I love her gifted parenting. Those children have the wisest parents in the world. More, more! This sounds like my kind of book and I’m heading over to Amazon next to add it to my wish list (birthday coming up soon!). Some of the themes remind me very much of my family’s experience moving to Azerbaijan after the fall of the Soviet Union. Seeing how they coped with having the financial rug pulled from under them (middle class professionals suddenly finding they could barely feed their families) was both humbling and instructive. In particular it was eye-opening to live in a non-consumer society with almost no exposure to advertising for 3 years. It changed my outlook on life and worldview forever. Judy, that sounds incredible. YOURS is a story I would very much like to read…. Three things struck me about Margot’s ‘chat’ with you ML. The first was definitely two places to call home. I find my heart filled with the life I have built – and love – in London and the life that went before in Melbourne. I have no plans to repatriate (but who knows what life will bring) but I think I will always call Australia home regardless of whether I ever live there again. Gidday, thanks! Yes yes yes on the embracing.- our flaws come with us everywhere. MIght as well invite them to sit down, offer them a beer, get to know them a little. Here’s to understanding! 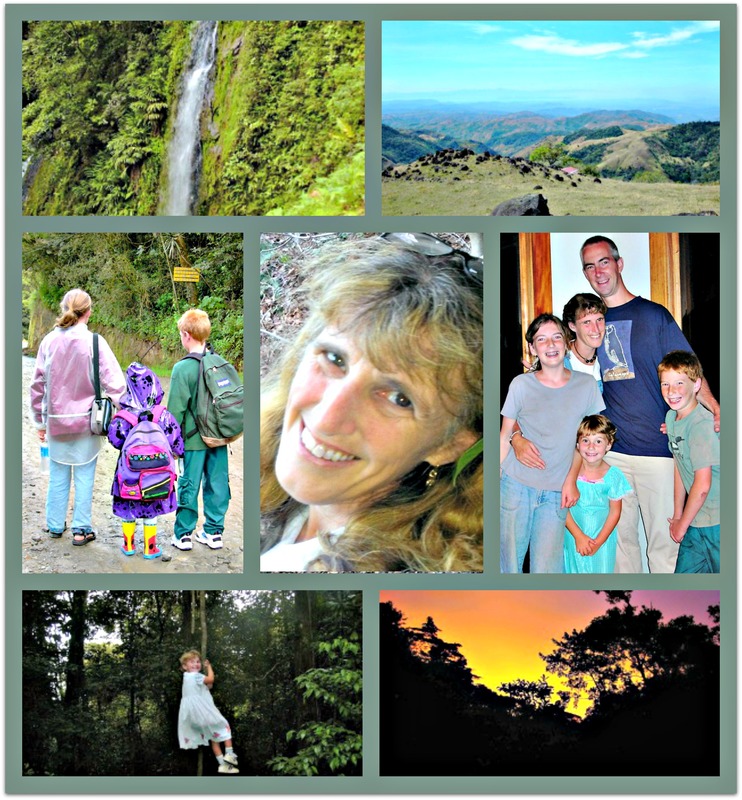 Oh I love your cover and really want to read your memoir – especially as I grew up in Costa Rica. In those days Monteverde was known only to the Ticos (famous for its cheese) and was a private isolated place – you had to know someone to stay there. The Quaker kids were all home schooled, but I know that has changed!